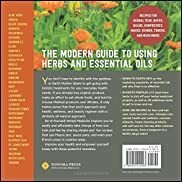 In this section you will learn about how to safely use natural herbal remedies and their heath benefits when used as alternative medicines for your health and wellbeing. There are many ailments that can be treated with herbal remedies on their own or in conjunction with conventional medication. In this day and age, the world seems to be such a fast one and we are forever rushing around and never seem to have enough time to do anything. Working, looking after kids, looking after the home and all the other duties that one needs to fulfill in a day, it seems that often we don’t even have enough time to sit down and eat. In actual fact, when our days are so rushed we often don’t even pay attention to what we are eating. Foods these days are becoming more and more processed to suit our rushed lifestyles and as such they are filled with additives and preservatives. Unfortunately, our bodies weren’t meant to consume all these additives and preservatives. When you read the ingredients on a packet, many items are listed as numbers and we really just don’t know exactly what we are eating. It also seems that we eat more foods high in sugar and high in flavor and foods are made to suit these wants rather than to suit what is best for our health. 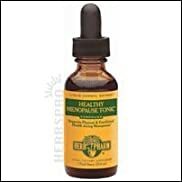 This puts more pressure on our body, so it is harder than ever to listen to our bodies needs to help find natural weight loss remedies that actually work. It is always healthier to eat natural and organic foods and avoid processed foods, but not only is it better for you it is also good to detoxify your body from toxins and chemicals and help you to lose weight. Another threat to our health is conventional medications. Although some medications are absolutely necessary, there are times when we take medications when they really aren’t 100% necessary. Some people also over medicate or take medications without prescription. There are fears that some bacteria will become resistant to conventional drugs due to the overuse of them. Taking antibiotics too often will also upset the balance of good and bad bacteria in our intestines. 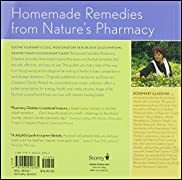 Using natural herbal remedies for common ailments that can be helped with them, will be more beneficial to your body than using unnecessary medications. However, if you have a condition that does require medication, I do not recommend replacing medication with herbal remedies. Homeopathy is also very beneficial to the body to treat a number of ailments and it uses herbs, minerals and metals to create remedies. Homeopathy for both people and pets uses a typical process of dilution using only naturally occurring substances. 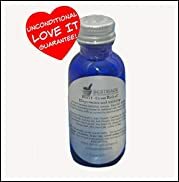 Natural remedy products can help your pets even in serious cases like Dog Urinary Tract Infections, so your should consider treating your pet with natural alternative medicines where possible. 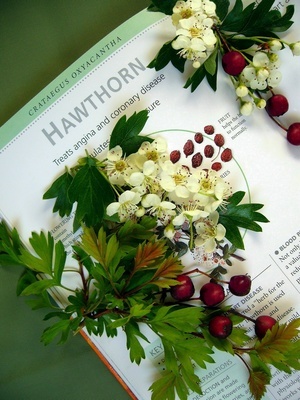 Herbal remedies are created using plants, trees, shrubs, flowers, bark and fruit. They can come in the form of topical applications, oral remedies or natural supplements. Herbal remedies are much better for the body than conventional medicines and they also give fewer side effects. Herbal remedies can also be beneficial in treating the cause of the problem and not just the symptoms. Herbs can also boost the immune system and help prevent diseases and ailments from occurring. Herbs such as goldenseal and garlic have natural anti viral and antibiotic properties so are great for infections and viruses. There are a number of herbal teas and supplements that can relieve tension and stress and also treat depression. There are also natural herbal remedies that help with gastrointestinal problems, respiratory problems and menstrual problems. 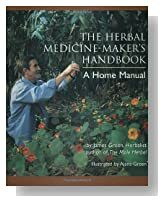 Although natural herbal remedies are created from natural products, are they necessarily safe Herbs and herbal remedies have been used for hundreds of years to treat a number of different ailments. Today, more and more people are turning to natural treatments for medical conditions to try and improve their health and do it in a natural way. Following is a list of some of the common herbs that are used to treat mild conditions. 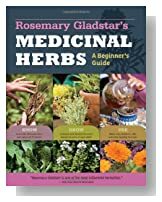 There are many different herbs so this list is only a small number of herbs and some of the most popular ones. -	Chamomile is a great herb for calming the nerves and relieving stress. It also helps speed up the healing process and is good for stomach problems. 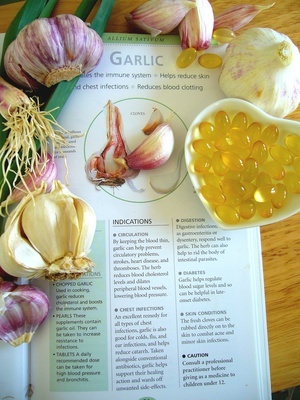 -	Garlic has great antibiotic and antiviral properties and is also good for cardiovascular problems. You can eat garlic raw or have it cooked in food, if cooked it is best if added late in the cooking process to preserve the beneficial nutrients. -	Goldenseal has fantastic antibiotic properties and is great for fighting infections. For the best results, steep half to one teaspoon of root goldenseal for each cup and leave for ten minutes. -	Ginseng is used to improve stamina and stimulate the immune system. It also helps to protect the liver from toxins. 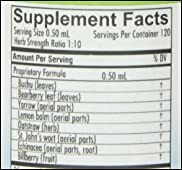 You can purchase ginseng on its own or you can find it as a main ingredient in many herbal supplements. -	Ginger reduces the risk of heart attack and helps to prevent internal blood clotting. Ginger can also prevent motion sickness if taken before travelling. Ginger is also often used by pregnant women to reduce morning sickness. -	Spearmint and peppermint are both great for indigestion. -	Licorice helps to relieve ulcers and also soothes a sore throat. Above are popular herbs used in the Western world and there are many others that are quite popular and have been very effectively used in China and India. 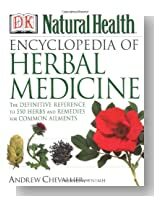 Chinese herbs such as Fo Ti, Green Tea, Dong Quai and Reishi Mushrooms are used to treat infections, control vaginal discharges, help with menstrual cycles, assist with asthma, treat choughs and treat general fatigue. The Chinese herb Ephedra is sometimes used to treat asthma and colds, however it can cause high blood pressure and insomnia so should not be used without consultation of a qualified herbalist and should definitely not be used while pregnant. 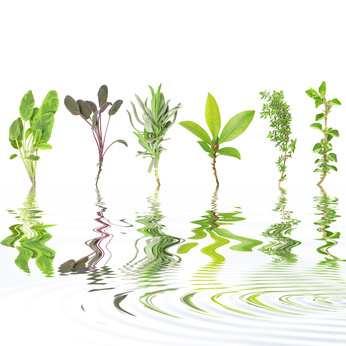 Popular Indian herbs are Brahmi, Ashwagandha, Amla, Guggul, Shilajit, Tulsi and Turmeric. Guggul is used in modern medicine for heart ailments and joint pains and Ashwagandha is referred to as the Indian Ginseng. Homeopathy is also a great choice for using natural remedies as it focuses on treatment the root of the problem rather than just treating the symptoms of the problem. Homeopathy also treats the person rather than the symptoms and as a result two people with the same symptoms may receive different remedies. Homeopathy uses many herbs, including some toxic herbs and other natural products to produce highly diluted remedies. These herbal remedies used to treat ailments such as coughs and colds, sexual dysfunction, arthritis, diabetes and cardiovascular problems. 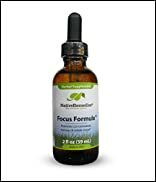 Native Remedies - Focus Formula Herbal Supplement - 2 oz. 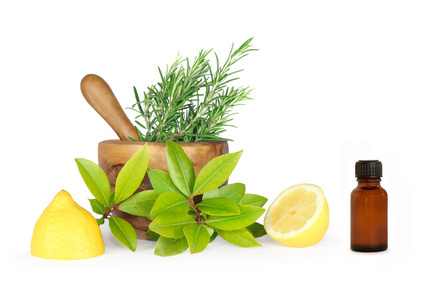 Although natural remedies are created from natural products, are they necessarily safe? The safety of any product, including natural remedies, depends on the products used to create it. It also depends on the ability of the person preparing it and the person prescribing it. The use of herbs for medicinal purposes is not regulated by the FDA so these aspects are extremely important. There are some herbs, that although have great healing properties, can actually be poisonous in their undiluted form. An example of this is Nux Vomica which is used to treat many different ailments. However, Nux Vomica is derived from an Asiatic plant and this plant contains toxins like brucine and strychnine and these can be incredibly poisonous in their original form. 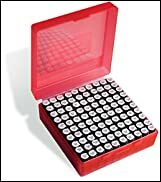 When herbs and plants are used in homeopathy they go through a dilution process that makes them suitable to treat disease. This is why it is important to use natural remedies as per the directions of a qualified natural therapist. With natural therapies, different active compounds in herbs are used to interact with each other to dilute toxicity and to increase the therapeutic effect. One should not try to mix herbs and plants on their own without the knowledge of how they react together. Natural therapy believe that they synergy of compounds cannot be duplicated within synthetic chemicals. This is accepted by pharmaceutical researchers, however they insist on clinical trials to check the efficacy of herbal formulations provided it is consistent. Natural remedies are very effective at treating many different ailments and are safe as long as they are used in a safe way. You should always use natural treatments according to directions and never mix herbs or plants that you are not sure of. It is best to seek the guidance of a natural therapist who has the expertise in the various herbs and plants and knows the right mixtures and formulas to treat specific ailments. We all have moments when we are feeling down and if these feelings continue long term it can develop into depression. In many cases however, they are mood swings that will pass in time, usually when we begin to forget what is bringing us down by being distracted by something good. There may be times in your life though when you are going through a difficult period or traumatic event that can be prolonged and our gloomy feelings are fairly constant and just don’t go away. This may develop into depression and you may begin to have symptoms such as anxiety, trouble sleeping, lack of appetite and you just want to be alone. When you suffer from depression you may find it difficult to feel any happiness and things that once made you happy no longer do. You can become isolated when you just don’t enjoy going out anymore and don’t feel like having the company of your friends. Depression can be caused by an upset of the balance of brain chemicals that are responsible for a person’s emotional health. Emotional distress is not always due to depression and can also be caused by physical illness, anxiety or fear. If you are suffering from emotional distress you might want to consider natural remedies before going straight for antidepressants. Antidepressants have a number of side effects which may even cause you more anxiety. Natural remedies offer you a safe solution with no side effects. 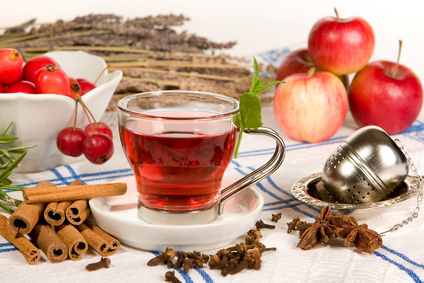 Herbal teas have many medicinal benefits including emotions benefits. Herbal teas help to cleanse the body, strengthen the immune system, relax the body and help to reduce stress. Most herbal teas are very safe and can be taken daily in recommended quantities without the worry of having any negative side effects. Depression, anxiety and emotional disorders often lead to a disturbed sleep and there are many herbal teas that can help you to sleep better. Many herbs have a mild sedative effect that can help you get off to sleep and to sleep more soundly. Herbs such as chamomile, jasmine, passion flower and lemon balm are all very useful for relaxing and soothing the nerves. These can be taken in the form of herbal teas and they can assist with both mood and sleep problems. 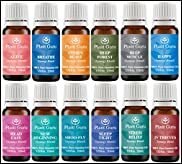 If your emotional issues are caused by a physical illness then there are herbal remedies that can help with different ailments. If you drink herbal teas regularly they will help to strengthen your immune system and fight off disease and they can also prevent many medical conditions. Herbal teas have strong antioxidant properties that help to eliminate and prevent the accumulation of toxins in the body. Herbal teas are a great alternative to conventional drugs if you drink them on a regular basis. They can help soothe your nerves and your mind and positively affect your overall emotional health. Natural Estro-life Cream (USP Bio-Identical Estriol Cream) / Extra Strength- 150 Mgs. 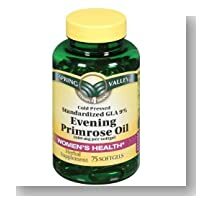 Used During All Stages of Menopause. 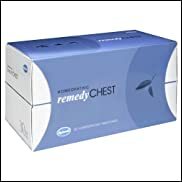 Commonly used for Hot Flashes, Mood Swings, Vaginal Dryness, Insomnia, Wrinkles, Weight Loss, Low Libido, Hormonal Acne, Energy, Irritability, and PCOS. Non-GMO, Fragrance-Free, Soy-Free, and Bioidentical / Micronized Estriol USP from Wild Yams. Three times the Estriol at half the price than any competitor. Money Back Guarantee! This herb is one of the most powerful sedatives in the plant pharmacopoeia. A tea made from valerian root has a rapid sedative effect, and it helps to ease nervous tension. When drunk after dinner and then directly before bed, it quickly alleviates symptoms of insomnia and facilitates sleep. One of the best bedtime herbs for those who have difficulty getting to sleep, chamomile has a soporific effect on the nervous system. It also gives relief to an overworked digestive tract, a common cause of insomnia. Another relaxing plant, lime blossom helps to calm nerves and reduce tension. Both of these herbs can be drunk as a tea: steep 5ml / 1 teaspoon dried herb in a cup of hot water. Hops is an ingredient in beer – and the cause of the pleasant sleepiness that a big drink of beer induces – hops is used for its restful effect. Wild lettuce also has been used to treat sleep problems, as have passionflower and lemon balm. 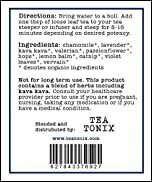 Sedative herbs are used in non-narcotic sleep tablets, which are taken once during the day and then an hour before bedtime. Valerian is usually the main ingredient – it may be used on its own or combined with hops, wild lettuce, lemon balm or passionflower. Dill seed acts gently to relieve colic – a common cause of wakefulness in babies and young children. Add 5ml / 1 teaspoon lightly crushed dill seed to a cup of water and boil for 10 minutes. Strain well and allow to cool before drinking. 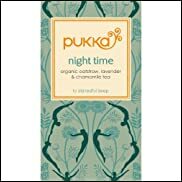 To help you sleep through the night you can also drink pleasant Elderflower and Lime Blossom tea with a dash or Nutmeg and a dollop of Honey. Made by steeping garden-fresh flowers in boiling water, tisanes provide a real treat for the taste buds. They can calm the nerves and send you to sleep on a proverbial carpet of blossoms. The experience of drinking a tisane is a little like taking the garden’s earthy energy in to your system. The wonderful fragrances of these clean and clear tonics act as moon enhancers, and they are visually cheering – as well as tasting wonderfully fresh. The passion flower has wonderful sedative powers that are said to relieve nervous conditions such as palpitations and shakiness, thus helping to prevent insomnia. To make a tisane, place one passion flower blossom (or 5ml / 1 teaspoon dried passion flower) in a cup and add 250ml / 8fl oz / 1 cup boiling water. Steep (soak) for 10 minutes, then remove the flower. You can drink a cup of this soothing tisane 3 times a day, and continue for 2 -4 weeks. Herbs India - Ashwagandha Powder 8 Oz 1/2lb. What Diet Herbs Work Best? When it comes to Natural Weight Loss Diet Herbs, everyone wants to know ... "What are the latest trends that do work?" A staggering two thirds of the adults in Western countries are obese or overweight. People are constantly looking for easy and quick ways to lose weight and there are new diets and weight loss programs turning up all the time. If you are trying to lose weight there is a good chance that you have tried many diets and methods but are still not at a happy weight. There are so many different weight loss products available that it can be quite confusing and how do you know what really works? There are quite a few different supplements available to help lose weight but how do you know if these are safe? 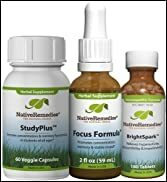 Many natural substances have been used to create weight loss supplements as people are continually looking for that magic weight loss answer. 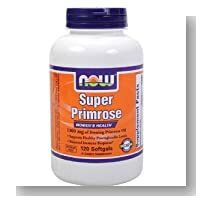 Flowers, shrubs, trees, stems, seeds and oils have all been used to try and find the weight loss answer. 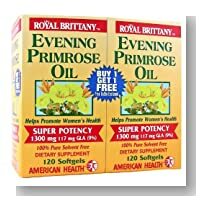 One of the popular natural weight loss remedies that have proven to give good natural weight loss results is wild evening primrose oil. I'll load a page below to go into more detail about this amazing herb. Natural herbal remedies, including Herbal teas like featured above, are often used to cleanse the body in a natural way and can also aid in improving your energy levels. Herbal teas come in a variety of flavors and come from different plants so you will want to use one that you like the taste off and also one that has cleansing properties. Different herbal teas will have different benefits for the body and some are more beneficial for the detox process than others. 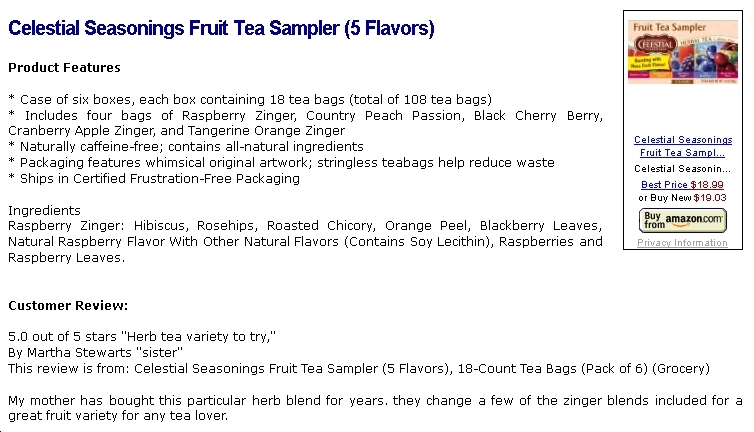 You will also want to look for Herbal Teas that are grown organically and doesn't contain any additives or preservatives. 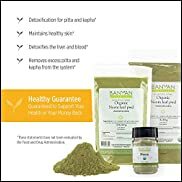 There is a lot of power and relief that comes from learning about all the natural herbal remedies and alternative medicines that you can apply for home remedies. 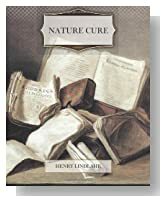 You’ll be surprised about how much a little research can help you with natural cures for your health. But it’s not without its downside. Sometimes people end up overmedicated for health issues that can be treated simply and effectively at home. A great way to treat some of common health problems that affect people is through the natural use of plants. These plants don’t give you the same dangerous side effects that a lot of the medications prescribed today will cause. Plus, it’s easier and a lot more cost effective to turn to nature when you need healing. There are a lot of different plants that you can grow that can treat your ailments naturally. Some can be applied topically and some can be brewed into teas. 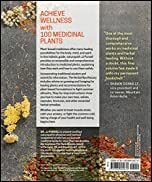 You should make sure that you understand how much of a plant you should use, because just like medicines you get at the pharmacy, there are dosing guidelines you need to follow when using plants to treat ailments. 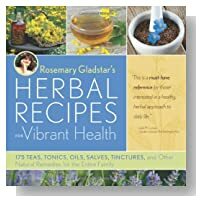 Below here I'm featuring more pages with helpful how-to-do-it tips on this subject of natural herbal remedies and alternative therapies. 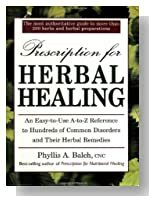 Back to HOME PAGE of this natural herbal remedies section of the site.